Netanyahu pledges not to cede military control of the Jordan valley in any future peace agreement. 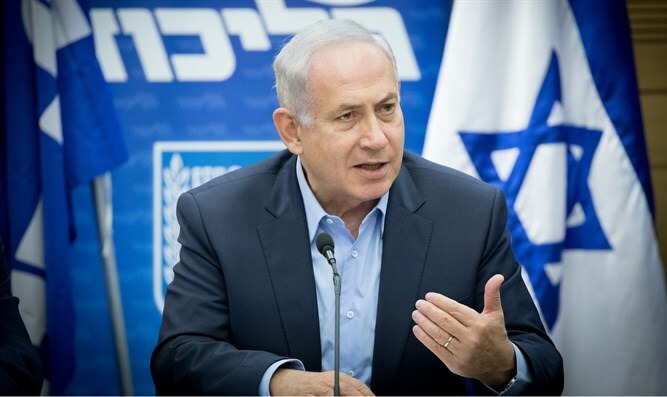 Prime Minister Binyamin Netanyahu on Monday pledged that he would not cede military control of the Jordan valley in any future peace agreement with the Palestinian Authority. "We seek peace with our neighbors, a real peace, a peace that will last for generations," Netanyahu said at an event in at Latrun, west of Jerusalem, in honor of the 50th anniversary of the 1967 Six Day War. "That is why in any agreement -- and without an agreement -- we shall maintain security control over all the territory west of the Jordan (river)," he added. "We insist that the Palestinians finally recognize Israel as the national home of the Jewish people," Netanyahu said. "That is the foundation for peace and refusal is what prevents achieving it," he stressed. There have been calls on Israel to withdraw from the Jordan Valley as part of a future agreement with the Palestinian Authority (PA). Israeli experts have warned that the area is strategically critical and that allowing the IDF to withdraw from the region and letting the PA take control would be a serious security threat to Israel. U.S. President Donald Trump is currently in the process of launching an initiative to resume peace negotiations between the sides. While full details of his initiative are unclear, a recent report said he was interested in a move which would redefine sections of Area C in northern Samaria as Area B. Area C is under full Israeli rule, while Area B is part of the Palestinian Authority and Israel is only in charge of security in that area. Education Minister Naftali Bennett expressed his opposition to such a move. Prime Minister Binyamin Netanyahu is reportedly opposed to the idea as well.